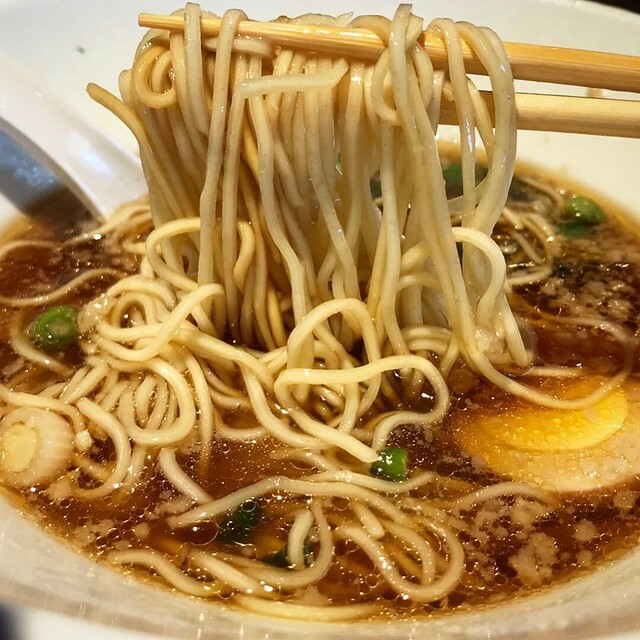 In a city where people seem to be terrified of eating gluten, Ippudo has opened their latest location, bringing their famous ramen to Santa Monica. Originally from Japan, Ippudo has slowly expanded their empire throughout Asia to the UK, Australia, France and the US. Even though it was still in its soft opening phase, the restaurant was doing bustling business during weekday lunch. Luckily we only had to wait a few minutes to be seated. A handful of appetizers and buns are available to start your meal. The buns are $4-5 each and are on the small side. 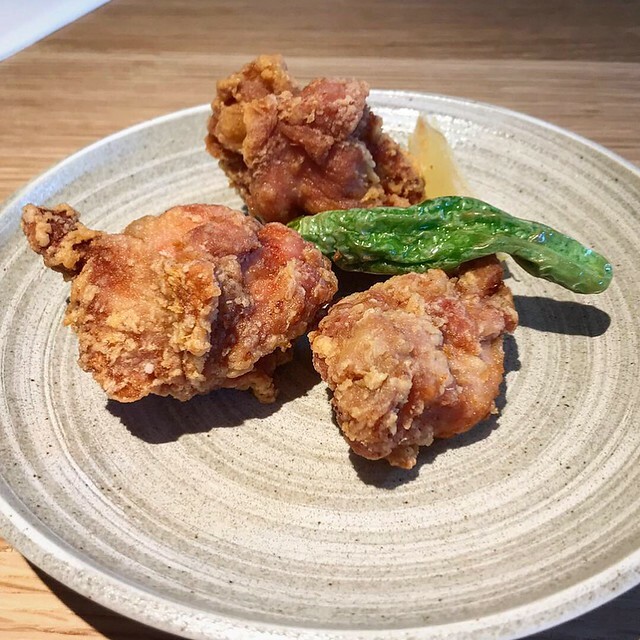 If you’re looking for a better bang for your buck, try the chicken karaage, marinated and fried, three pieces for $5. They were nice and juicy, not too greasy. You have seven ramens to choose from, including a whopping three vegetarian options (it is Santa Monica, after all). Their signature dish, the Shiromaru Classic, came in a tonkotsu pork broth, with pork belly chashu, kikurage mushrooms and scallions. They offer you a choice of noodles, recommending kata, firm noodles. The broth was creamy, not too salty, yet flavorful and made an excellent complement to the noodles. The Shoyu Ramen used a bonito fish dashi, which imparted a strong flavor to the broth. Having eaten shoyu ramen at another restaurant a couple of days prior, Ippudo’s broth was far superior, with a complexity that the other lacked. The pork belly chashu was nicely done, with just the right amount of fat, and melted in your mouth. The ramen also came with menma (bamboo shoots), scallions, egg, a sheet of nori seaweed and naruto (fish cake). My only quibble with the dish was that the egg was hard-boiled – a soft-cooked jammy egg would have really made this ramen truly stellar. Service was friendly, though it took me three attempts to get the bill. I jokingly asked my daughter how fast she could run. “Mom!” she said in her best outraged teenage voice, but then admitted the same thought had crossed her mind. That’s how long it took to get the check (don’t worry, I paid). My brother recently asked me what my go to ramen place is. Now that Ippudo is here, I think I found it. Gluten-Free Options – No gluten-free noodles, but they have rice bowls and salad.